Description: offset is defined as a grid utility that alters the position of an element or elements left, right, up, or down through the margin-lef or margin-top property. 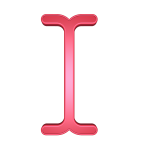 Description: A positive offset value offsets the element to the left. Description: A negative offset value offsets the element to the right. Description: A negative offset value and a 'column'direction` value offsets the element up. Description: A positive offset value and a 'column' direction value offsets the element down. Description: The value for the gutter accounts for the gutter set on the column or row.